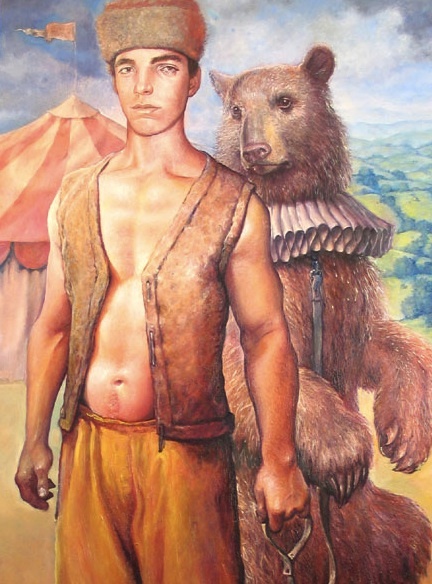 Anderson Cooper, child bear trainer and professional liar. Earlier this week, Anderson Cooper's producers thought it would be funny to run a clip of the earnest anchor in one of his first media appearances. In the game show "To Tell the Truth," celebrities had to figure out which one of the contestants talking about their odd lifestyle was legit, and which two were the impostors. Anderson, age 9, tries to convince the panel that he is a child bear trainer in a purple sequined outfit. And since he's Anderson Cooper, he pulls it off. I love how adamant Anderson is about his Liberace attire being an "actual Russian bear trainer costume." He's half right. While most bear trainers didn't wear bedazzled outfits with giant purple hats, they did dress like Aladdin (sticking with the more conventional earth tone patterns). It's a credit to baby Anderson that even at such a young age and dressed like Cher at the Oscars, he carries himself with such authority that the celebrity guests actually believed his parents sold him to the circus. Then again, child labor laws were a lot more lax back then, so maybe that was more credible.